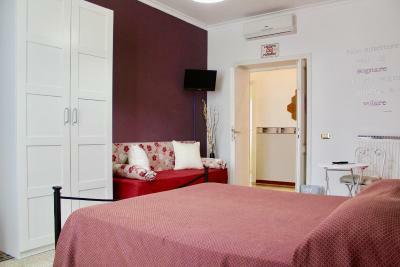 Lock in a great price for B&B Da Ponticello – rated 8.9 by recent guests! 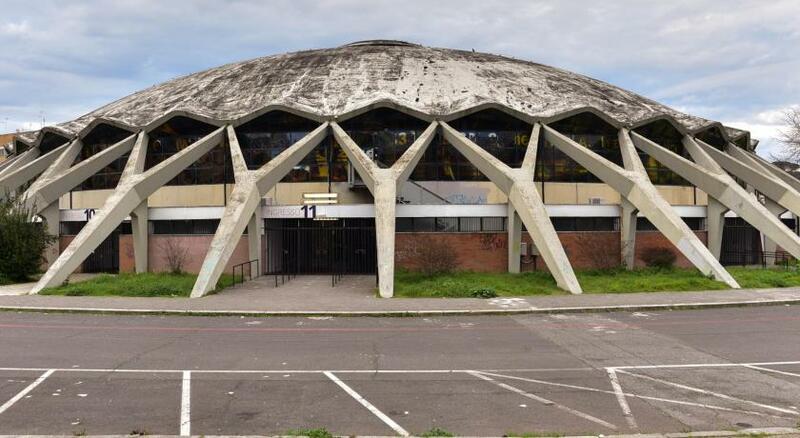 The location was perfect for the Foro Italico . It is on a good bus and tram route. It is on the top floor of an apartment complex so light and airy. Nice rooftop terrace. Self-service breakfast of acceptable quality and excellent coffee. Very clean. Siamo stati un paio di giorni in questo B&B perchè dovevamo raggiungere comodamente a piedi lo stadio Olimpico, è situato al sesto piano di un gruppo di palazzi nel quartiere Flaminio. Siamo stati ben accolti al check in, la stanza è ampia e luminosa, il bagno è di fronte alla stanza e bisogna passare dal corridoio ma era a nostro uso esclusivo quindi andava benissimo. Molto carino anche il balcone per prendere un po di fresco prima di andare a letto. Colazione nelle media. Il quartiere infine è ricco di trattorie facilmente raggiungibili a piedi, mentre per andare in centro bisogna prendere l'autobus a due minuti a piedi dal B&B che porta fino alla prima fermata della metro, ci vogliono circa 10 minuti. Se l'anno prossimo come spero devo tornare a Roma in luglio tornerò sicuramente in questa struttura. B&B facile da raggiungere coi mezzi pubblici. Ottimo se si è a Roma per i concerti al Parco della musica o altre manifestazioni nei dintorni, ma anche per visitare il centro storico (Piazza del popolo è raggiungibile in 10 minuti col tram). La stanza era spaziosa e comoda. Molto cortese Antonella. Considererò sicuramente questo B&B per i miei futuri soggiorni a Roma. Posizione ideale se i luoghi di interesse sono il Parco Auditorium della Musica, il MAXXI e lo Stadio Olimpico. Capolinea del tram e dei bus vicinissimo. Panorama dalla terrazza veramente bello. Boasting a large terrace with views over Rome's roofs, B&B Da Ponticello is 10 minutes' walk from the Auditorium Music Complex and the Olympic Stadium. It offers air-conditioned rooms with free Wi-Fi. At the Da Ponticello you enjoy a sweet breakfast daily, with savory items upon request. It is served in your room or in a dedicated area, with a fridge and microwave available to guests 24 hours a day. Tram number 2 stopping in front of the B&B offers direct links to Flaminio Metro and Rome's historical center. 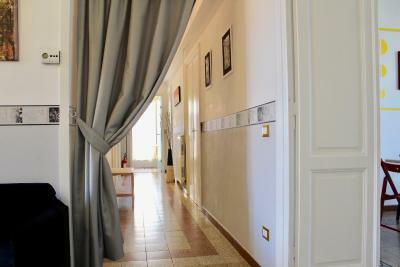 For total independency, you will be provided with the keys of the property and a map of Rome. 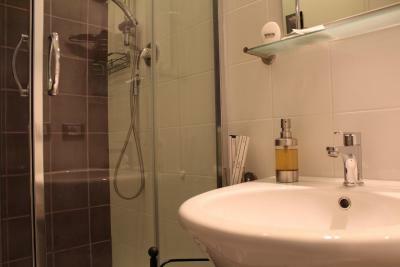 When would you like to stay at B&B Da Ponticello? Spacious and colorful air-conditioned room featuring free Wi-Fi, a TV , and an private bathroom with free toiletries and a hairdryer. A map of Rome is provided for free. Spacious and colorful air-conditioned room featuring free Wi-Fi, an LCD TV with satellite channels, and a private external bathroom with free toiletries and a hairdryer. A map of Rome is provided for free. House Rules B&B Da Ponticello takes special requests – add in the next step! B&amp;B Da Ponticello accepts these cards and reserves the right to temporarily hold an amount prior to arrival. B&B Da Ponticello accepts these cards and reserves the right to temporarily hold an amount prior to arrival. The property is on the sixth floor of a building. The elevator in the building only reaches the fifth floor. Please by informed that a surcharge of 20 euro is applied for arrivals outside check in hours. Please inform B&B Da Ponticello of your expected arrival time in advance. You can use the Special Requests box when booking, or contact the property directly using the contact details in your confirmation. Wish there was a bathroom in my room and not in the hallway! Everything was perfect, very clean and nice room. 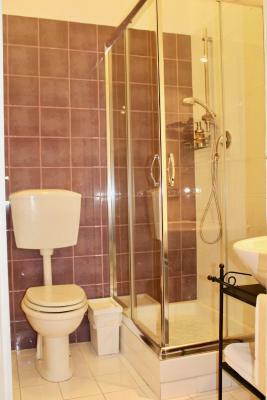 It would have been better if the bathroom was ensuite rather than across the corridor. It was relatively expensive for a B&B.